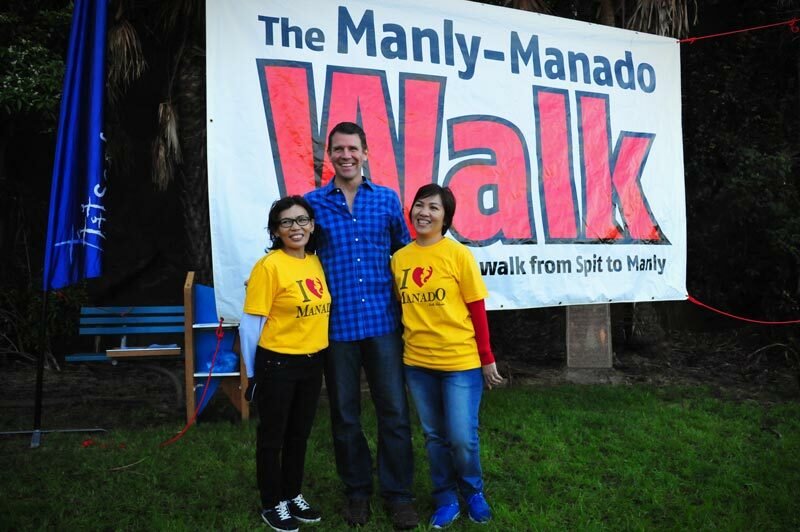 Hundreds of people have joined in the Manly-Manado walk this year raising over $23,000 for vulnerable mothers and their babies living in Manado, Indonesia. Organised by Seaforth Baptist Church, who has partnered with Compassion Australia for over ten years, this year’s walk from Spit Bridge to Manly was officially opened by NSW Premier Mike Baird. Mr Baird said it was encouraging to see his own Northern Beaches community get behind a great cause. “For the past ten years the Manly community has come together to show its support for our Indonesian friends and it’s great to see that compassion on display again today,” said Premier Baird. To date, over 2,400 people have taken part in the Manly-Manado walk, which has raised a total of nearly $300,000 over ten years. Justice Pastor Vikki Howorth from Seaforth Baptist Church said the walk had grown over the years into a major community event that gave locals the opportunity to play their own part in making a difference in the lives of children and families in Manado. This year, participants were each given a picture of one of the 50 mothers and babies in the Child Survival Program in Manado as a representation of whom they were walking for. Compassion Australia CEO Tim Hanna said the partnership between Seaforth Baptist Church and Compassion was an outstanding example of how the local church can be empowered to release children from poverty in Jesus’ name. “Compassion is all about the local church. We partner with local churches in the countries we work in to fulfil our mission and these partnerships are always based on mutual respect, common goals and a belief in the value of children,” said Mr Hanna. Find out more about the annual Manly-Manado walk.